"I'm going in the right direction to get my momentum and my confidence back. I know I can do special things." "I don't want to just get to the Olympics. I want to get there and medal." - German Fernandez on his pro career. Dawn Harper's Boyfriend Tweets that Lolo Jones is a "Hoe" on Prozac -- MADNESS!!! Linz, Austria: Start Lists: Kirani James, Oscar P, Felix Sanchez, Greg Rutherford, Wheating and Willis in 1,000. Thursday Lausanne Diamond League: Usain Bolt In 200, Yohan Blake Vs. Tyson Gay In 100, Rematch Of London Men's 400m Medallists, Women's 100m Rematch, Mariya Savinova In 8 Looks like a great meet. Pre-Meet: LRC No More Steeples This Year: Evan Jager Tell Us His Goals For Stockholm & The Rest Of The Season The American record holder in the steeple is running the flat 3,000m on Friday in Stockholm. What's his goal? He tells us and also says there will be no sub-8:00 steeple this year as he's done steepling for 2012. Next Sunday's Aviva Birmingham Grand Prix Will Be A 12,800 Sellout We think we are supposed to be excited that a post-Olympic meet with Mo Farah can draw a minor league baseball crowd. 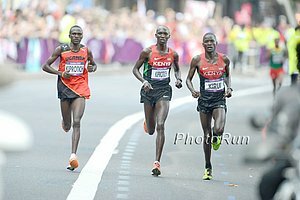 Recommended Read: Coach Renato Canova Analyzes The Olympic Marathon: "I think nobody could think of STEPHEN KIPROTICH as a possible Olympic Champion," says Canova, who doesn't think it's really possible to do well in a spring marathon and then again in the Olympics. On The Boards: Meb Keflezighi = American Marathon of the Year! Perhaps they mean of the last 30 years. RR: Felix Sanchez Weeps Tears Of Joy And Dedicates 400H Win To His Grandmother, Who Passed Away After The First Prelim In Beijing 2008 He ran with a photo of him and his grandma tucked under his jersey and "Abuela" scrawled in black pen on the straps of his spikes. When he won, he honored his grandmother by kneeling in the middle of the track and kissing her photo. LRC Men's 10,000m: Mo Farah Gets It Done As Galen Rupp Gets Historic Silver Mo Farah powered home to win Britain's third track gold medal of the night and first long-distance gold in 104 years, as his training partner Galen Rupp got America's first men's flat long-distance track medal since 1964 with silver. The bronze went to Ethiopia's Tariku Bekele, as he held off his brother, Kenenisa. LRC Women's 10,000m: Tirunesh Dibaba Makes The Case For Being The Greatest Ever The Tirunesh Dibaba/Vivian Cheruiyot dual did not live up to the hype, as Dibaba was simply stunning the final 500 meters, crushing the field to assert her claim to best female distance runner ever. Sally Kipyego got second, Vivian Cheruiyot third. Afterwards, Dibaba said she wants to run a marathon next year. Morgan Uceny Injured After Fall And "Not sure what the rest of my season holds." She's on the start lists for the 800 in Linz today but we assume she's not running. Kenyan Editorial: "To write that the mandarins at AK and Nock have outlived their uselessness is an understatement." LRC has a simple solution. Let the Kenyan athletes train with their normal coaches and things will be fine. Usain Bolt Was Too Expensive For Stockholm Diamond League Meet This Year And As A Result There Were Empty Seats Bolt is too expensive for most DL meets. The article should have focused on the meet losing its main sponsor and having a new director. 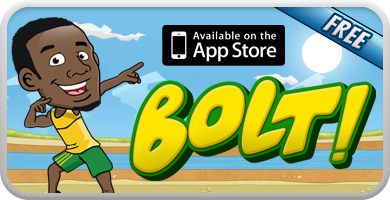 Usain Bolt Says He May Play Cricket We say no way he plays cricket or football at a major level. Craig Miller (3:58.4) And Heather Kampf (4:35.8) Win $4,000 At Inaugural GNC Live Well Liberty Mile The same duo won the US road mile titles back in May. Jordan McNamara and Gabriele Anderson were the runners-up. Pre-Race: Bring Back The Mile Interview With AJ Acosta, Who's Running The Live Well Liberty Mile In Pittsburgh Asked if he saw Leo Manzano's silver medal race, AJ responded, "I did get a chance to see that. I'm looking forward to seeing him get a future gold medal and Matthew [Centrowitz] getting a future bronze medal. It's definitely an exciting time." Recommended Read: Cyclist Who Admitted To Doping For 1st Time In NY Times Op-Ed, Jonathan Vaughters, Goes Into Greater Detail About His Doping Past His first team leader was a guy who went to church four times a day, and even he eventually let them dope as everyone else was doing it. Kenyan Columnist: Get Rid Of Inept AK And Create A Fresh Team He calls for the head of AK chief Isaiah Kiplagat. Kenyan Columnist: All Hail David Rudisha, He Saved Country's Face The columnist was so upset with the rest of the Kenyans he almost stopped watching the Olympics. *LRC Meet Sarah Attar - Saudi Arabia's First Female Track & Field Athlete The woman who will make history in traditional Islamic attire at the Olympics is a Pepperdine sophomore who runs in shorts during the collegiate season. She's never run an 800 in college, but that's what she'll run in London. *Asafa Powell Won't Compete In Jamaican 4 X 1 Due To Injury He's out for the rest of the season, but plans on being back in 2013. 100 Hurdles: Sally Pearson Wins Gold In Olympic Record As US Athletes Take Spots 2 Through 4 Dawn Harper took silver and said, "I feel like I kind of shut some people up. You got to talk about Dawn a little bit." Kellie Wells was 3rd, Lolo Jones 4th. *RR: Tim Layden: Jones Misses Glory In 100 Hurdles While Manzano Wraps Historic 1,500 "Because of the compressed nature of multiple-gold medal nights in the Games, it is not uncommon for journalists to find themselves stuck in the basement, watching history on a tiny screen while collecting quotes from athletes who performed in earlier events. It is unavoidable. Yet this moment was far more instructive." HJ: Russia's Ivan Ukhov Wins HJ Gold As US's Erik Kynard Gets Silver And Jesse Williams A Disappointing 9th Ukhov's come a long way since trying to high jump drunk at a meet back in 2008. *Top-Ranked UK HJer Robbie Grabarz Finishes In A 3-Way Tie For Bronze Tied with Canada's Derek Drouin and Mutaz Essa Barshim of Qatar. Discus: Robert Harting Celebrates Discus Gold By Doing Lap Of Honor And Going Over Hurdles Set Up For The 100H Final He also ripped his shirt; officials tried to stop him. Definitely a discus thrower we'll remember. M Steeple: LRC Ezekiel Kemboi Wins Second Olympic Steeplechase Title - Is He The Greatest Steeplechaser In History? Kemboi blitzed everyone in the last 300 and had time to finish out in lane eight once again before doing his now-patented victory dance. Mahiedine Mekhissi-Benabbad took silver as he did in 2008 and Kenya's Abel Mutai won bronze. Defending champ Brimin Kipruto was tripped with 700 to go and heroically tried to rally, but ended up fifth. Evan Jager and Donn Cabral were 6th and 8th. 100 Final: BOLT: Tim Layden: "In many ways, this one was better." (link fixed) If you ever thought there was a better short sprinter in the world think again. Usain Bolt delivered on the biggest stage once again in the gretest 100m final ever. All 8 men would have broken 10.00 but Asafa Powell, the man who has gone sub 10 more than anyone else in the world, pulled up before the finish. W Marathon: LRC Tiki Gelana Wins 2012 Olympic Marathon As Shalane Flanagan And Kara Goucher Finish 10th And 11th The star-studded field featured Mary Keitany, Edna Kiplgat, and Liliya Shobukhova, but in the end it was the marathon's new star Tiki Gelana who got the win. American Shalane Flanagan was 10th and teammate Kara Goucher 11th. LRC analysis, recap and more from London. *Kara Goucher After Marathon Finish: "Honestly, I haven't felt that kind of pain since I had a baby. I'm serious." Flanagan said all the turns really broke her rhythm and "trashed her legs." Women's 400 Final: Sanya Richards-Ross Gets Gold, GB's 2008 Champ Christine Ohuruogu 2nd World champion Amantle Montsho was 4th.